As we turn the corner and start marching into spring, my thoughts have turned to planting. We’re starting seeds and making plans to get our raised beds finished and start planting peas and spring lettuces. I’m excited about all the new produce we’re planting this year and can’t wait to share it with you. Thanks to everyone who participated in Grow Your Own in February. 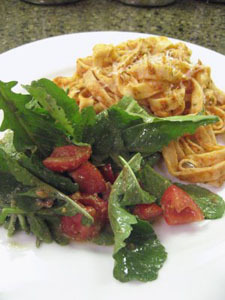 We had nine participants from five countries, and we cooked with our homegrown or foraged Meyer lemons, tomatoes, arugula, basil, scallions, peppercorns, Malunggay leaves, sayote (chayote), parsley, scallions, carrots, and thyme. We had several new participants this month, so be sure to give them a warm welcome! If you are new to Grow Your Own, you can visit the Grow Your Own page to learn more about it. I am hosting the March event, and the deadline is March 30. 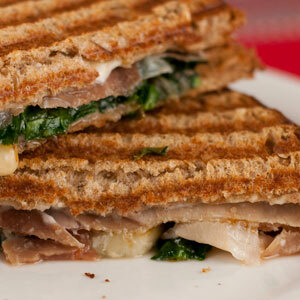 Send your entries to andreasrecipesgyo AT gmail DOT com. I’m booking hosts for the coming months, so please send me an email if you are interested. And be sure to visit the Grow Your Own Flickr photo group to see all the things we’ve been growing and eating. Jessica is fortunate to have Meyer lemons in her yard, and she mixed up a vinaigrette with the juice and made a lovely salad with her homegrown arugula, tomatoes, and basil. 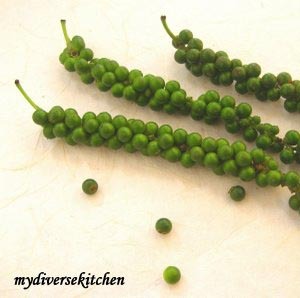 Aparna gave us a tutorial on the different types of peppercorns and showed us how to pickle fresh green peppercorns, which her daughter foraged while on a class field trip. 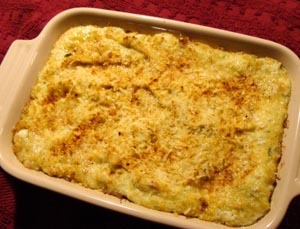 Kim made a warm artichoke dip with jalapeno and her homegrown scallions. 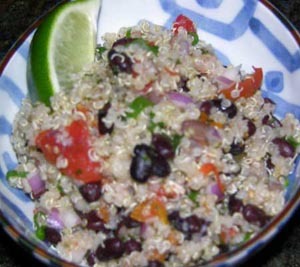 The recipe comes from Great Party Dips, a cookbook she won in one of our January giveaways. Julia is a chef who grows as much of her own produce as possible. 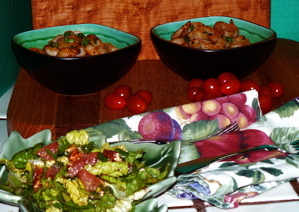 She made a healthy salad using her own canned tomatoes and frozen basil from her summer garden. 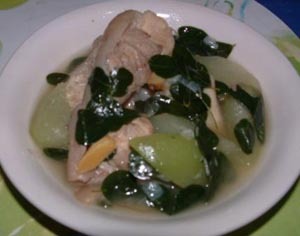 Tinola is a traditional Philippine soup, and Ela made hers with pata (pork hock) and her homegrown Malunggay leaves and sayote. 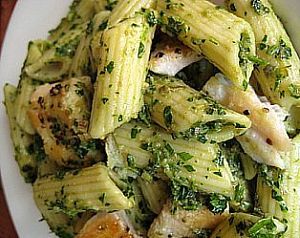 Karen tossed together a simple pasta salad with dory and a salsa verde made with her homegrown parsley. Deb got a little adventurous (think snakes on a plane) with her grits and added some cheese, shrimp, bacon, and some scallions from her garden. 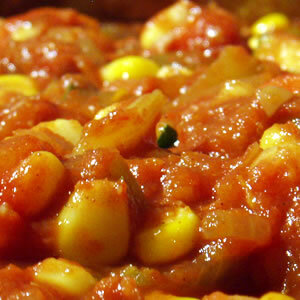 Zora used some of her overwintered carrots and thyme from her garden make this healthy chili. I broke out another jar of our slow-roasted tomatoes from the summer garden and made quick and easy panini for a weeknight dinner. Thanks, Andrea. Glad to be part of this lovely event. A very nice spread you’ve got here! I still haven’t given up hope that my little herb box I planted last Fall will produce enough of something for me to join in with more than rosemary! It’s a fairly horrible site right now and still recovering from the beating the caterpillars gave it, but I see new growth! I just found your “Grow Your Own” Roundup today and will be looking forward to participating. I’m growing lots of tropical stuff, spices and fruit mostly, and some herbs and greens, etc. and love cooking with homegrown or local produce. Great roundup Andrea! I’m not much of a green thumb but this does inspire me to grow more!